The National Pension Service is increasingly under pressure to apply stricter yardsticks on their investments and management at invested firms, with growing risks from owners resulting in revenue and stock price drops. Political debates are also coincidentally brewing over whether the emphasized exercise of voting rights on governance issues would lead to more responsible investment of the state pension operator or to excessive state or social influence in the business realm. In July last year, the nation’s pension fund, the third-largest in the world with 640 trillion won ($571 billion) in assets, adopted the stewardship code that acts as a guideline for institutional investors to actively participate in corporate governance through voting rights in the interests of their beneficiaries. The adoption came in the wake of the allegation the NPS support of the controversial merger between Samsung C&T and Cheil Industries in 2015 resulted in an estimated loss of around 718 billion won for its shareholders. The stewardship code now gives the pension fund motivation to actively exercise its voting rights in 297 companies, including Samsung Electronics, Hyundai Motor, SK hynix, Naver and Posco, in the areas of nonfinancial factors, which include the environment, society and governance, or ESG. ESG factors comprise the third principle of the seven principles of the NPS stewardship code. “Governance issues, above all, are something the NPS should now seriously consider when making investments in companies,” said Song Min-kyung, head of the Stewardship Code Center at the Korea Corporate Governance Service. “Scandals of owner families such as embezzlement, tax evasion and power abuse are no longer just social issues here. They tarnish company reputation, reduce revenues and drive down stock prices,” he added. MP Group, which operates Korea’s largest pizza franchise Mr. Pizza, and Hanjin Group, a conglomerate that owns Korean Air and Hanjin Shipping, have faced financial challenges from their respective ownership families’ misbehavior. In 2017, MP Group Chairman Jung Woo-hyun’s power abuse allegations, including his high-handed management style that allegedly resulted in the suicide of a former franchisee owner and his slapping a 58-year-old security guard at one of its stores, sparked public outrage. Since then, share prices of the group have plunged and the firm now faces a delisting warning. 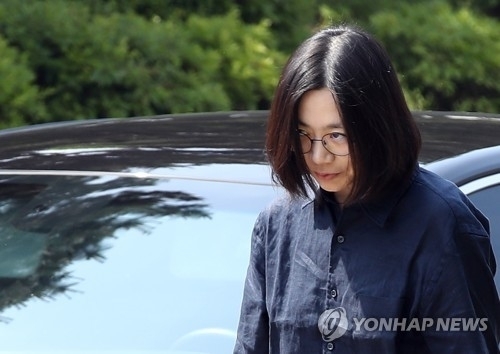 In 2014, the notorious “nut rage” incident of Korean Air heiress Cho Hyun-ah resulted in the loss of 320 billion won in market value for Hanjin Group. Subsequent charges of power abuse, embezzlement, tax evasion, smuggling and assaults by family members, including those leveled at Chairman Cho Yang-ho, his wife Lee Myung-hee and another daughter, have also seriously tarnished the company’s reputation globally. The NPS’ adoption of the stewardship code is sending a signal to the market that such nonfinancial factors are important, and it can be a barometer for other institutional investors, said Park Sang-in, a professor at Seoul National University. The NPS established the ESG evaluation model based on 52 indexes, which include climate change, clean production, human resource management, workplace safety, intratrading deals, fair competition, shareholders’ rights and dividends. The 52 indexes are open to the public, but the ESG evaluation model is not. “In order to better clarify what the NPS is currently focused on, the ESG model should be open to the public, so that companies and investors should be aware which factors the NPS give more weight -- whether they are labor issues, human rights, carbon emission or intratrading deals,” said Lee Jong-oh, director of local civic group Korea Sustainability Investing Forum. The month of March will be the first test bed for the NPS in exercising the stewardship code, as most affiliates of large companies -- Samsung, LG, Hyundai, SK and Posco -- hold their general meeting of stockholders during the period. The first company put to the test will be Hanjin Group, whose ownership family is embroiled in allegations of embezzlement, tax evasion, smuggling, assaults and illegal hiring. The NPS is the second-largest shareholder of Korean Air with 12.45 percent stake and third-largest shareholder of Hanjin KAL with 7.34 percent stake. The fund management committee, the NPS’ decision-making body, decided last week to let its special panel decide whether to actively exercise its shareholder rights over Korean Air and Hanjin KAL. The final decision is due this week. Lee Chan-jin, a lawyer and member of the committee, proposed that the pension fund should actively discuss whether it would exercise its rights to hold the ownership family accountable for the illegal practices. The NPS may propose an agenda regarding the dismissal of Chairman Cho Yang-ho. “What the NPS will show in exercising its voting rights and stewardship code in March will be a barometer for other institutional investors and companies. There is no right answer for the stewardship code, but, I believe, it should move toward long-term sustainable management,” said Bruce Lee of Zebra Investment. 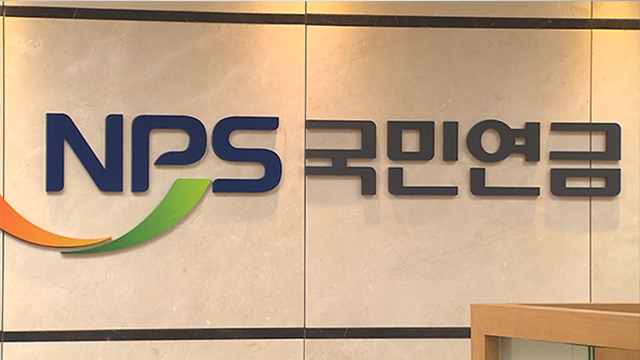 There are mixed views about whether the NPS will fully exercise the stewardship code in March and the code will put down roots in the Korean financial market in the near term. “The NPS’ adoption of the stewardship code has reassured foreign investors, who have growing doubts about the opaque corporate governance here. Still, challenges remain for the code to fully take root in the market to completely restore the trust,” said Song from the Korea Corporate Governance Service.